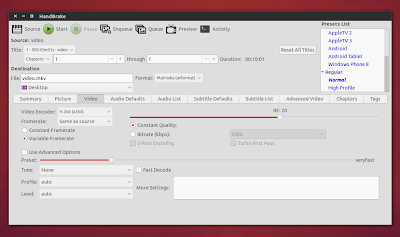 HandBrake, a free, open source video transcoder for Linux, Windows and Mac OS X, has been updated to version 0.10.0, getting support for new encoders, like H.265 and VP8, along other interesting changes. comes with graphical and command line interfaces. This release also includes some Windows-only new features, like Intel QuickSync video encode / decode support and experimental hardware decode support via DXVA. 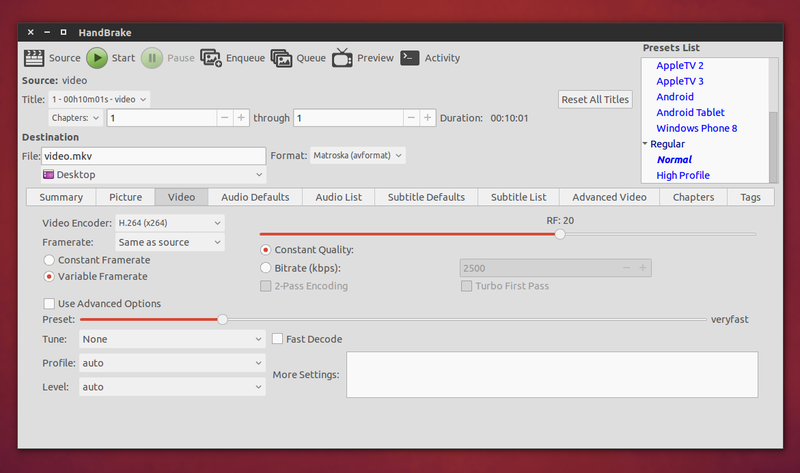 For more information, see the official HandBrake 0.10.0 changelog. Note that under Unity, the bottom HandBrake panes may use a dark background - this is a bug caused by Unity's overlay scrollbars and you can fix it by disabling the overlay scrollbars (for instance, using Unity Tweak Tool). You may want to check out the HandBrake Guide.